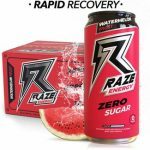 DPS is offering an extra 30% OFF REPP Sports Coupon dropping the price for a case (12) of the popular RAZE RTD to $21. Outbreak Nutrition Coupon PATHOGEN - $28! DPS is offering an extra 20% OFF Outbreak Nutrition Coupon on already reduced prices of a large variety of the product line including Outbreak Nutrition Pathogen Pre Workout which drops all the way to $28 after coupon and other products from $22. to snag 20% OFF any order on the Team Muscle Force website.